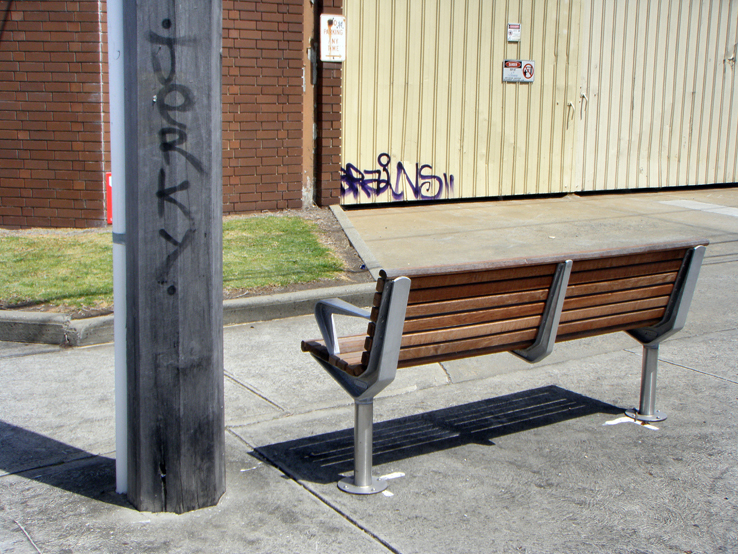 Recently, almost overnight, lots of benches suddenly appeared in the streets of Brunswick. They were installed so quickly, and there were so many of them, that we suspect that Moreland Council had a “bucket of grant money” that it had to spend quickly or lose, so it bought the benches. Fair enough. However, most of the benches were installed in absolutely ridiculous places, such as a few metres outside of a park instead of inside the park, and my favourite example, the one pictured, which is outside the electricity substation in Albert Street — not even a seagull would feel comfortable sitting on that bench! Sadly though, this is typical of the “mindless” decisions made by Moreland Council. It seems that near enough is good enough according to the Council. WRONG! However, enough is enough. 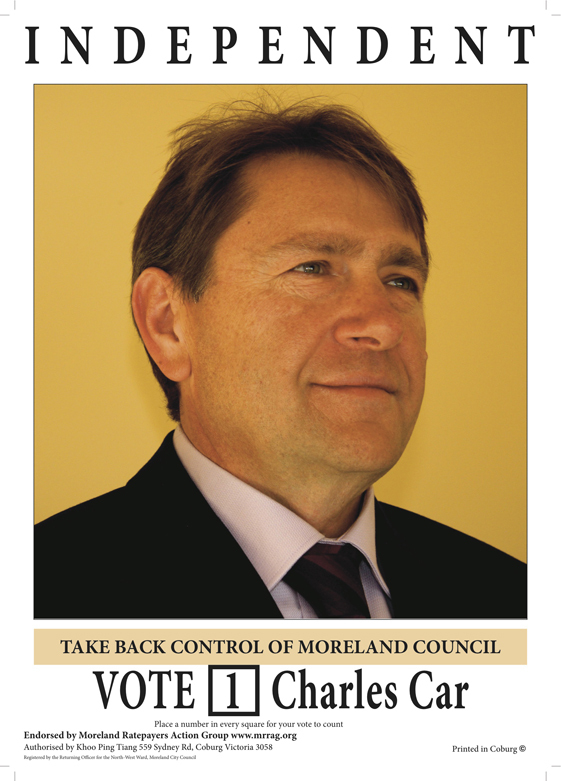 It’s time for major changes to Moreland Council. WARNING. 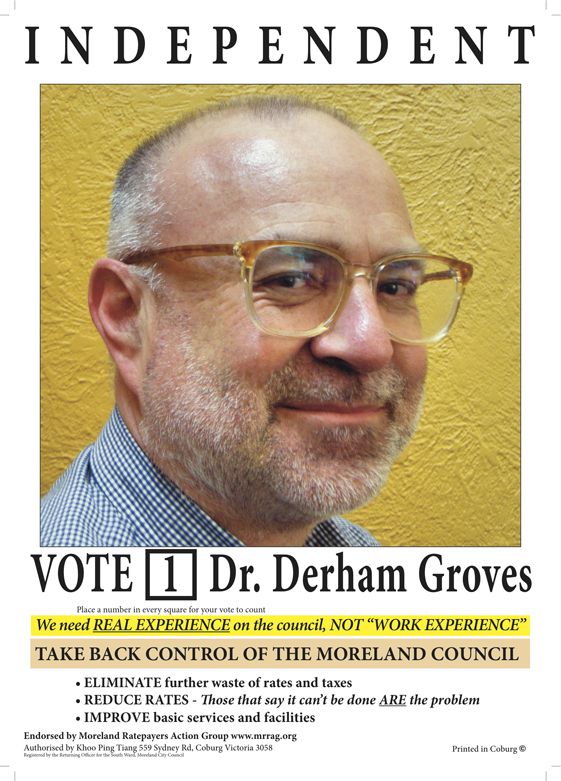 We are now known and formally registered as “The Moreland Ratepayers Action Group.” Sadly, our former name, “The Moreland Residents and Ratepayers Action Group,” has been “stolen” by a candidate for the North East Ward (and perhaps others) who is now sending out bizarre and mischievous emails under that banner. We have nothing whatsoever to do with these grubby emails. Welcome to local government politics in Moreland! Surely, obviously, it is time for a change! … AND ALSO GET A LOAD OF THIS RUBBISH FROM MORELAND COUNCIL! All of that was in MAY 2012. But in AUGUST 2012 the practice was still continuing, as the mrrag.org video indicates. The real so-called “culprits” are Moreland’s sleeping councilors and managers. “Zzzzz … zzzzz” is the loudest noise we hear coming from the Town Hall! WHERE IS THE QUALITY CONTROL IN MORELAND COUNCIL? WHERE IS THE ACCOUNTABILITY? 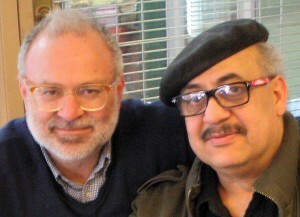 Mr. Frank (Francesco) Timpano and Dr. Derham Groves are both registered architects. Frank has a local architecture and building disputes practice and Derham teaches architecture at the University of Melbourne. Jointly they have decades of architectural and planning experience in a wide range of projects. Many of the current Moreland councilors seem to have trouble reading architectural drawings, nor do they seem to have a grasp of architecture and planning issues that comes with years of experience. Sadly, it seems that the same can be said about Moreland’s planning department. Regarding a massive residential apartment building approved to be built in Albert Street, at one Moreland council meeting Derham asked the question three times “Where are the hundreds of residents going to park their cars?” No answer. Clearly, they had not thought about it, but they made a decision anyway. Unfortunately the same sort of thing is happening more and more all over Moreland. It is important that councilors who understand the built environment represent the residents and ratepayers of Moreland. How right you are Virginia! Not only can’t Moreland Council collect the rubbish correctly, but somebody there blames the trucks for cocking things up! And as last month’s video demonstrates, they also don’t know there are seven days in a week and four weeks in a month! In the meantime, we are all faithfully separating our garbage from recyclable material. But really, what’s the point if this happens? So much for Moreland Council’s “green” credentials! POLITICS can be a grubby business. Or in the case of Moreland Council, downright trashy. In the tradition of the best political scandals, this one even comes with a grainy video that has ratepayers up in arms – and that will have dedicated domestic recyclers everywhere shaking their heads. The video, posted on YouTube, shows a council garbage truck doing its early morning rounds. Responsible residents have left their bins out, their waste carefully separated. But as the title of the video asks, ”Why bother to recycle if this is what happens?” It is indeed gobsmacking: the mechanised arm of the truck lifts and dumps all the rubbish into the back of the vehicle, efforts at recycling apparently ignored. 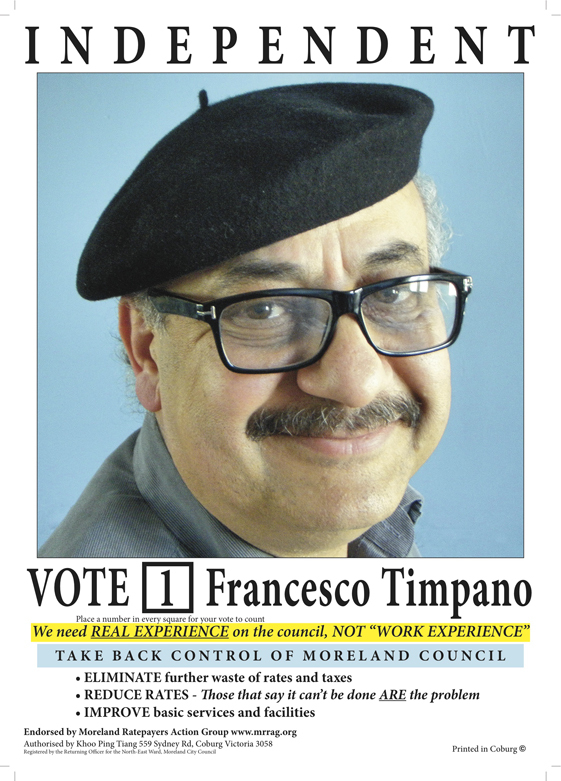 The video has been posted by architects Frank Timpano and Derham Groves, who are running for council under the Moreland Residents and Ratepayers Action Group banner. They say this was standard council procedure until a few weeks ago. We thought there must be more to it than meets the eye, but on Friday the council fessed up in a tweet: ”This truck was sold many months ago and we fixed this problem back then. We’ve since reviewed and improved our service.” We’re amazed it was going on in the first place. Moreland Way — Why bother recycling if this is what happens? This is how the garbage is collected in Coburg, Victoria. If you can’t trust Moreland Council to pick up the garbage correctly, then how can you trust them to do anything correctly? Questo è come la spazzatura viene raccolta a Coburg, Victoria. Se non ti puoi fidare Moreland Consiglio a raccogliere la spazzatura correttamente, allora come si può fidarsi di loro di fare qualcosa correttamente? Bu çöp Coburg, Victoria toplanır nasıl. Doğru çöp pick up Moreland Konseyi güvenemiyorum, sonra onlara nasıl doğru bir şey yapmak için güvenebilirim? Điều này là rác thải được thu thập tại Coburg, Victoria. Nếu bạn không thể tin tưởng Moreland Hội đồng nhặt rác một cách chính xác, sau đó làm thế nào bạn có thể tin tưởng họ làm bất cứ điều gì một cách chính xác? Dan huwa kif l-żibel jinġabar Coburg, Victoria. Jekk inti ma tistax fiduċja Moreland Kunsill li jittellgħu l-żibel korrett, allura kif inti tista ‘trust biex tagħmel xejn b’mod korrett?